Residual values are something most auto buyers don’t think about because they focus on things like horsepower, fuel economy and monthly payments. However, if you're in the group that does, you might be comforted by the fact that Hyundai has two models - Accent and Santa Fe Sport - that top their class for residual value. 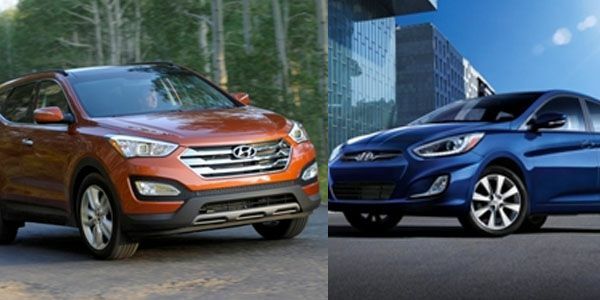 For the second year in a row, the Santa Fe Sport took top place in the midsize utility vehicle segment and the Accent placed best in the subcompact category. The Santa Fe Sport was new for the 2013 model year. These two ALG Residual Value awards join five others that Hyundai has received over the past three years. Santa Fe Sport, Azera and Elantra all received Residual Value honors last year. Elantra was also recognized by ALG for the 2011 and 2012 model years. The Mazda3 won the hotly contested compact segment, knocking off the Hyundai Elantra, which had won that category three years in a row. In my opinion that's not surprising considering the Mazda3 was recently a finalist in the Automobile Magazine Car of the Year – being beaten out by the 2014 Chevrolet Corvette Stingray. ALG’s Residual Value Awards honor the vehicles in each segment that are predicted to retain the highest residual value percentage of their original MSRP after a conventional three-year ownership period. This year’s winners were chosen after consideration of segment competition, historical vehicle performance and industry trends. As explained in an earlier article about the Kia Soul's high residual value, It's important to note before going further that predicted residual values, while based on some hard facts, could go up in smoke if major flaws (like acceleration problems) are found in a vehicle. I'm not saying that is going to happen with the Hyundai models but in my opinion one can never say never.